Dhaka, 24 June, Abnews: One more dosti in Bollywood has gone kaput, at least temporarily. Katrina Kaif and Alia Bhatt were gym buddies and a lot more. Common friends say the two female actors shared a genuine camaraderie. But no more. The reason being Ranbir Kapoor. Says a well-informed source, “Katrina who is not known to share buddy vibes with any other actress had warmed up to Alia, giving the younger girl lots of fitness and food advice. That apart they also shared a lot of girl-time together. 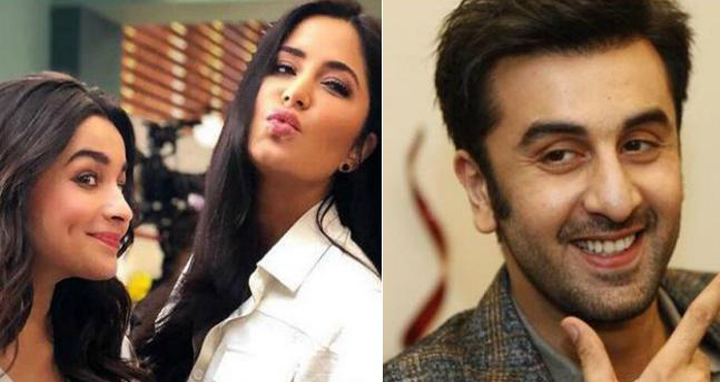 This was all before Alia began to grow close to Ranbir Kapoor.” Still raw and hurting over the way she was treated in her relationship with Ranbir, Katrina according to her close associates is “surprised and hurt” by Alia’s sudden proximity.